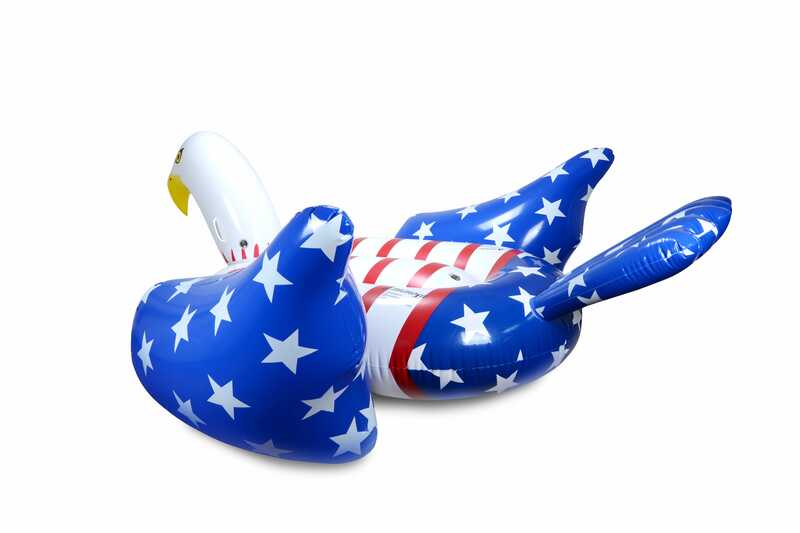 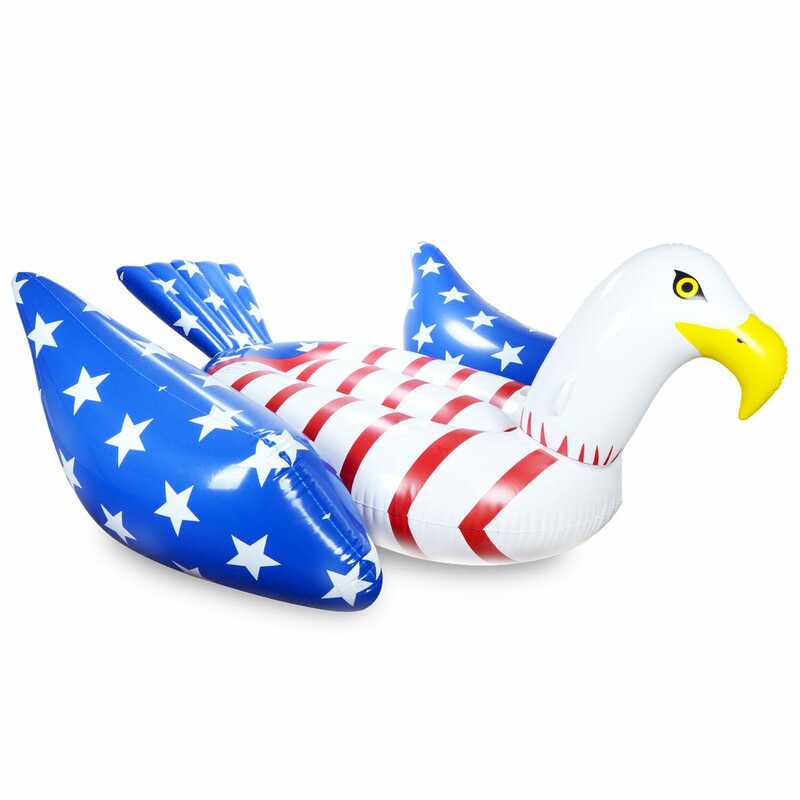 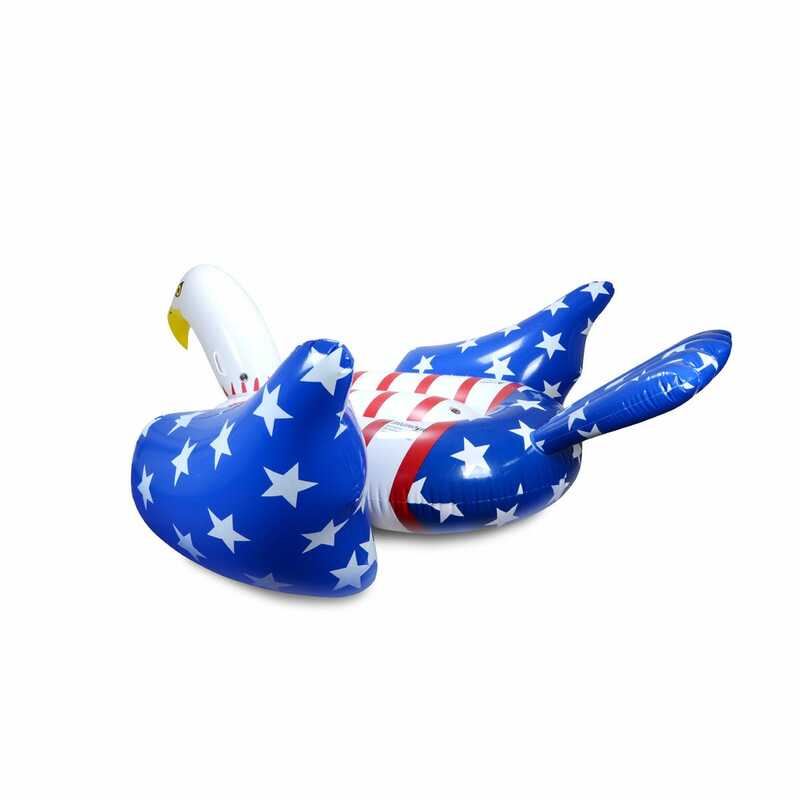 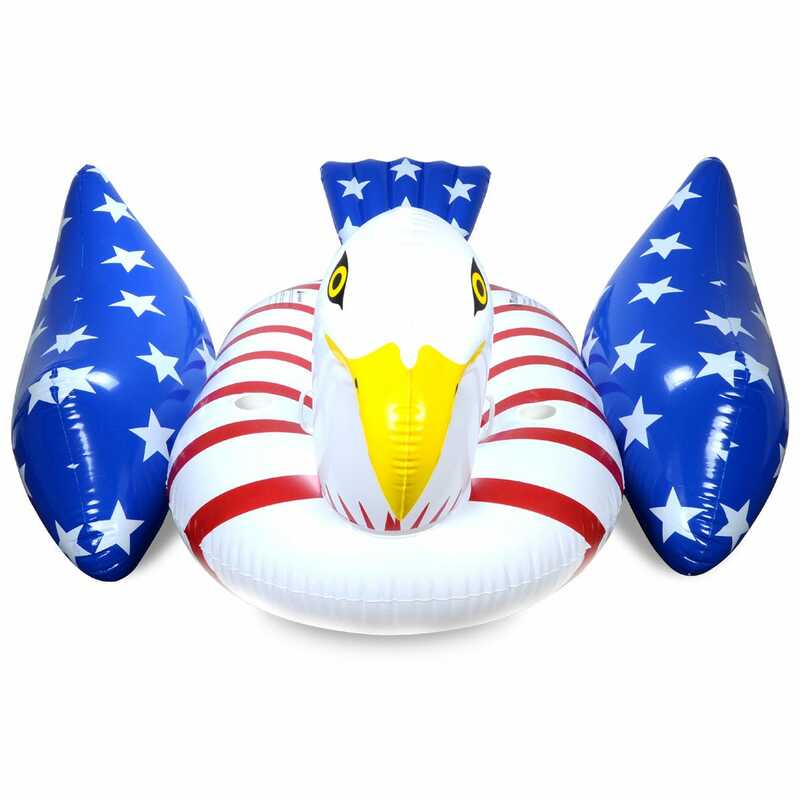 Our Giant American Flag Bald Eagle Pool Float is made from premium quality material so the Red, White and Blue colors stay vibrant and long lasting even in extreme heat exposure. 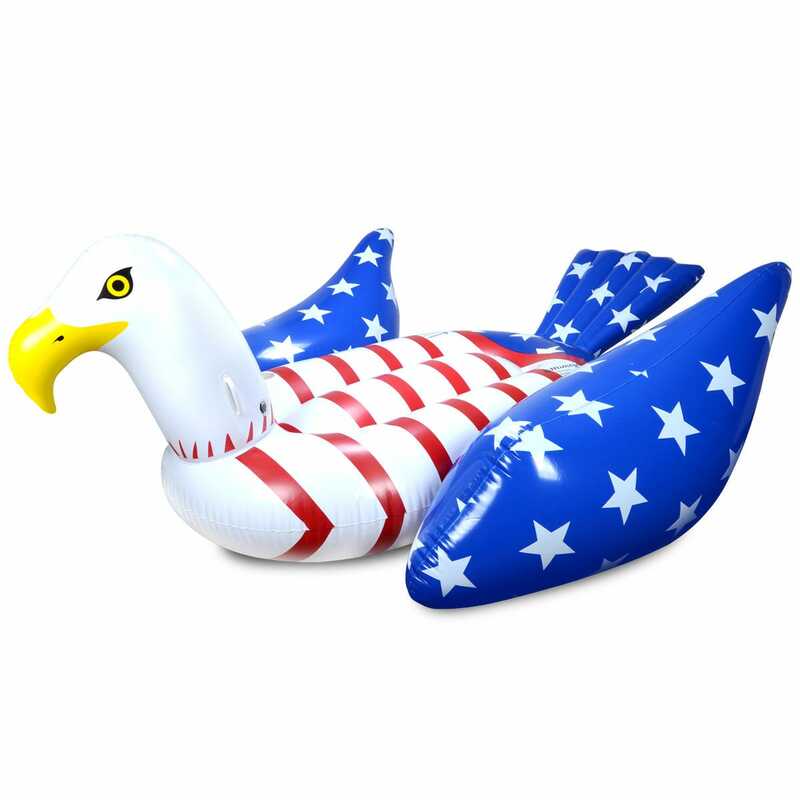 Measuring over 6 feet in length, our Pool Float can accommodate multiple passengers. 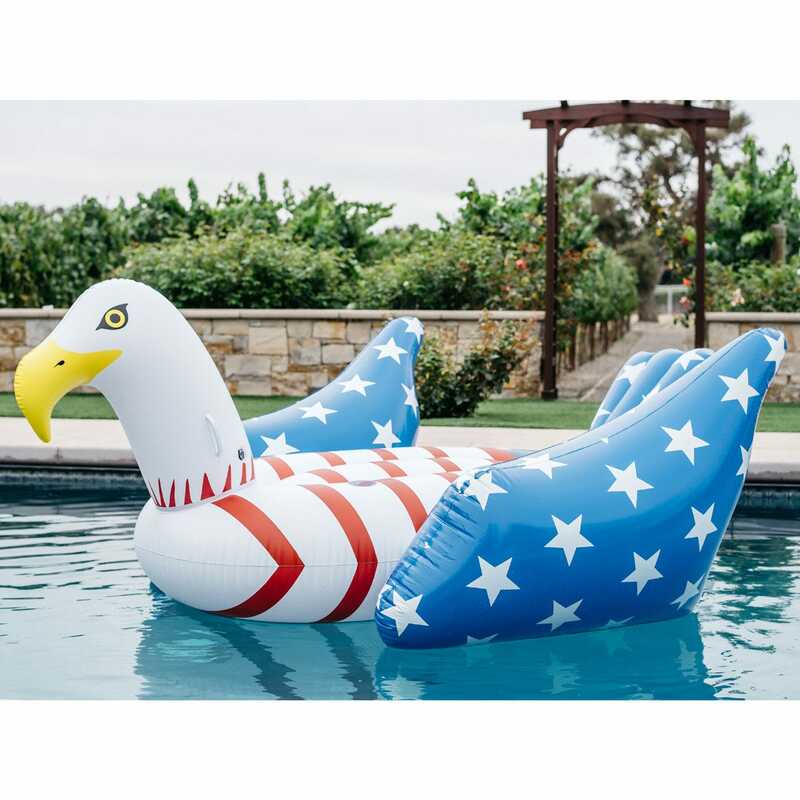 Features two built-in cup holders so you can relax while your favorite beverage waits without spillage. 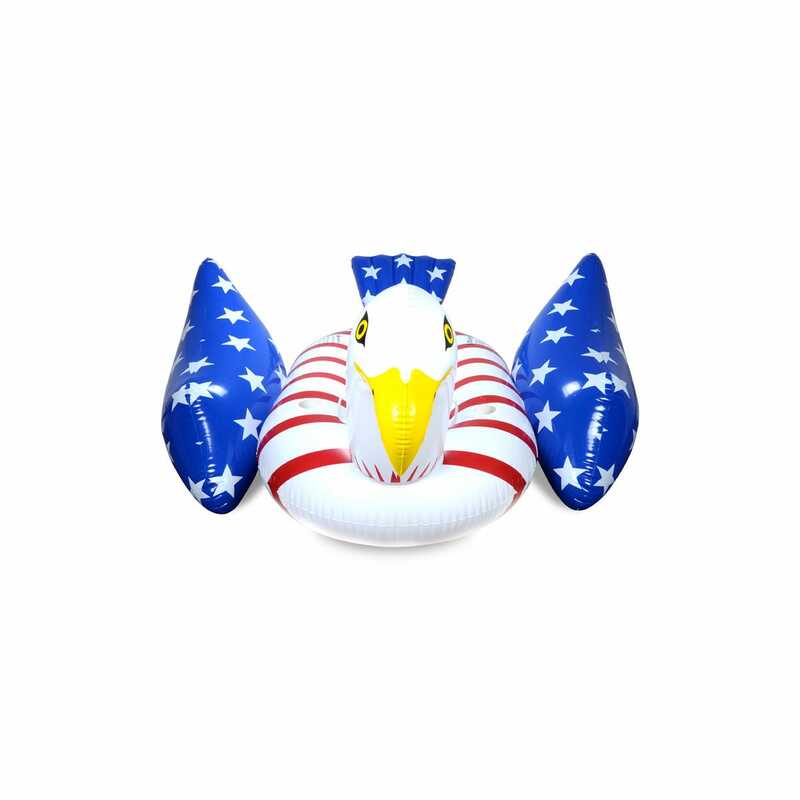 Quick release valves allow the Pool Float to easily inflate and deflate with any pool air pump. 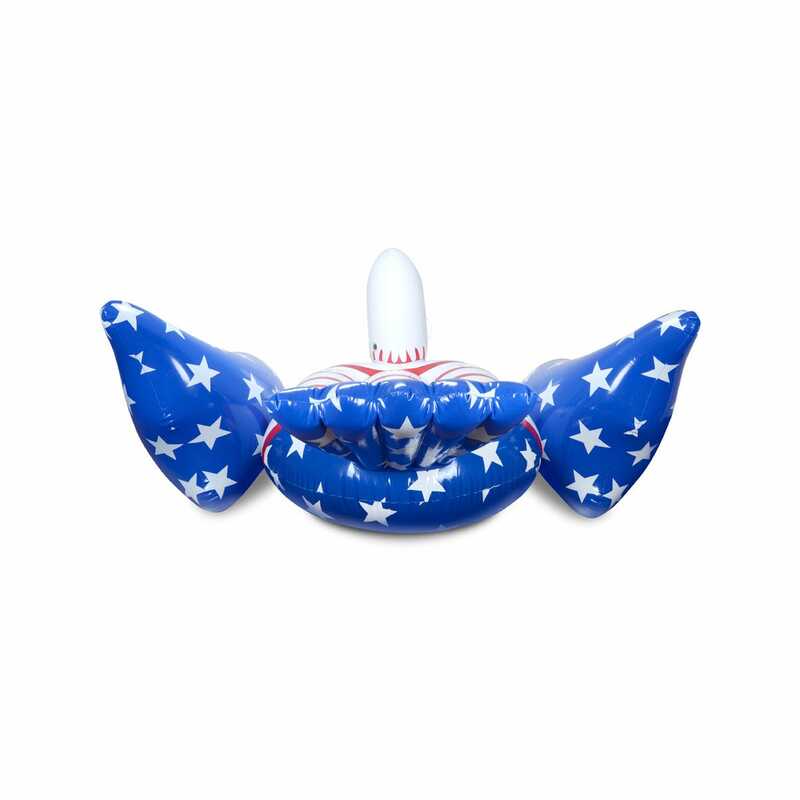 Inflates to 36 inches tall and weighs only 2 pounds.